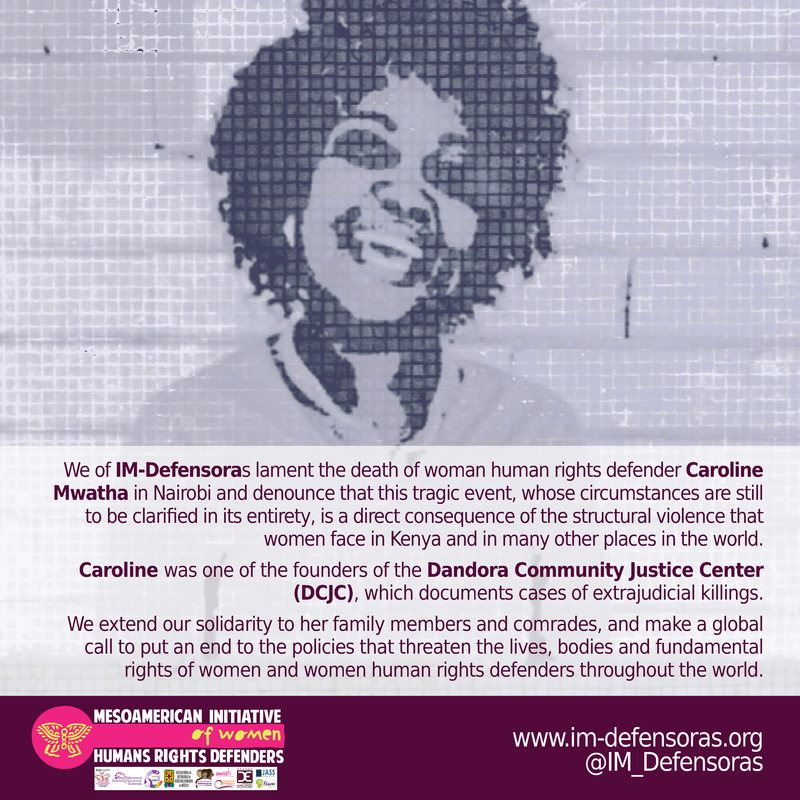 We of IM-Defensoras lament the death of woman human rights defender Caroline Mwatha in Nairobi and denounce that this tragic event, whose circumstances are still to be clarified in its entirety, is a direct consequence of the structural violence that women face in Kenya and in many other places in the world. (DCJC), which documents cases of extrajudicial killings. 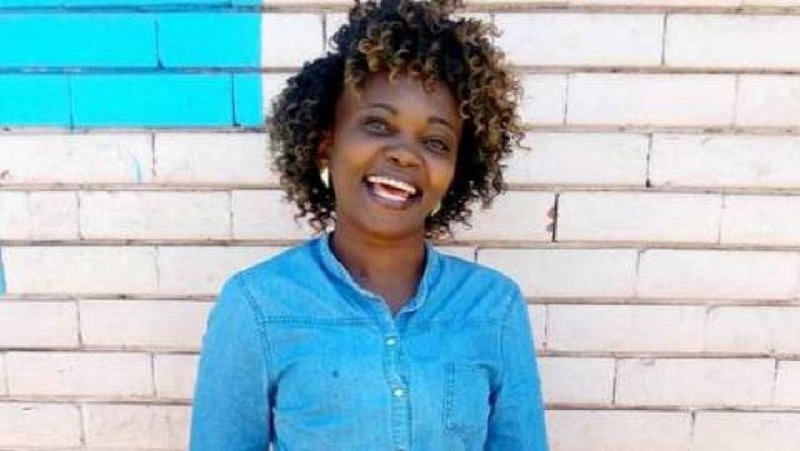 We extend our solidarity to her family members and comrades, and make a global call to put an end to the policies that threaten the lives, bodies and fundamental rights of women and women human rights defenders throughout the world.